A Fulham-based corporate customer requested a heavy mirror to be hung on a plasterboard in the hallway. 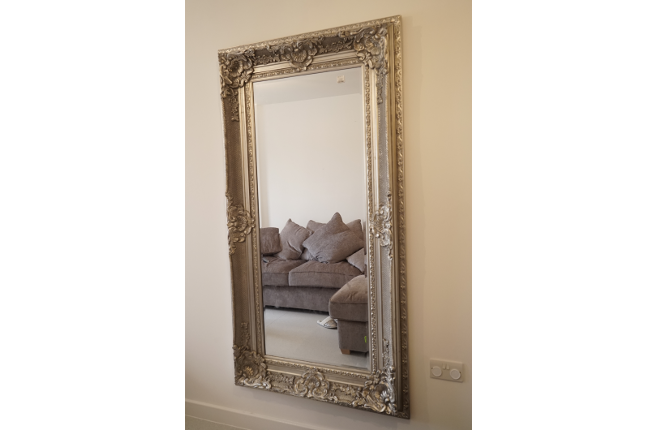 Fantastic Handyman sent a team of two mirror fitters to complete the installation as only one person wouldn’t have been able to carry out the job by himself. The project was a little more challenging than usual, due to the fact that the mirror was frameless and couldn’t be secured to the wall by inserting screws through the frame. The only way to hang it on the wall was to rest it on a brass hanging cord. The mirror installers carefully took the height and width measurements of the hallway and of the mirror itself to determine where it would be best to be positioned on the wall. A standard tape ruler, a spirit level and a regular pencil did the job. Afterwards, they marked the surface where they needed to drill. 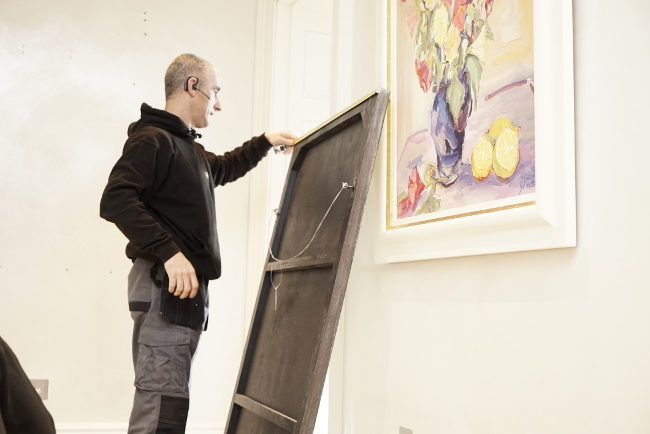 Since the mirror was large and heavy, the main consideration of the Fantastic fitting experts was not only to properly position it but to secure it safely on the wall as well. 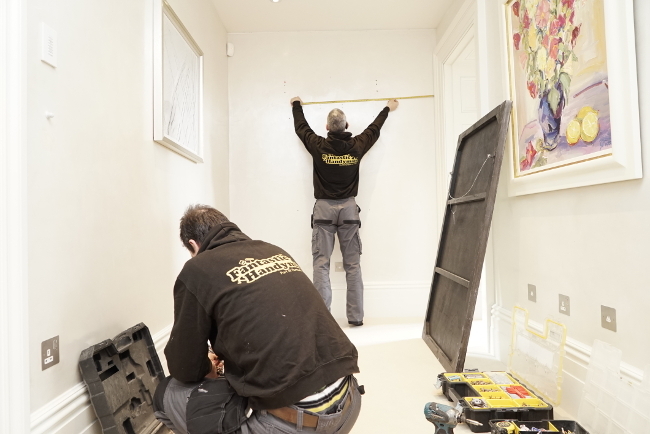 Moreover, since the wall was plasterboard, the handy team in Fulham, sent on site, had to make sure to drill deep into it through the concrete behind the plasterboard. 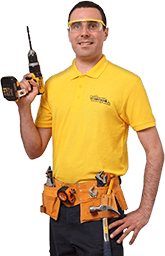 Fortunately, all Fantastic Handyman teams are equipped with high-end power and manual tools to help them deal with such hurdles and offer a top-notch service. A large wall plug was inserted into the hole and hammered down. To achieve extra safety, a long heavy-duty screw hook was screwed into the plug. Using heavy duty materials was going to prevent the mirror from ripping out the plug from the wall and crashing down under its own weight. Note that the Fantastic technicians always bring with them a set of durable, quality industrial fasteners, such as screws, plugs, bolts. Finally, the mirror fitters lifted and hung the mirror on the brass cord and the hook and adjusted the alignment using a spirit level. The team gave their best efforts to complete the project professionally and on time. A large mirror in the hallway of the property transformed the entrance area by enhancing the sense of space and by adding style with the new decorative element. Remarkable service! The Fantastic Handyman team fitted my large mirror in no time & hassle-free! Ready to Book Mirror Fitting Service?